Labor party to vote on list for upcoming elections on Thursday as party approves reservation of certain slots. 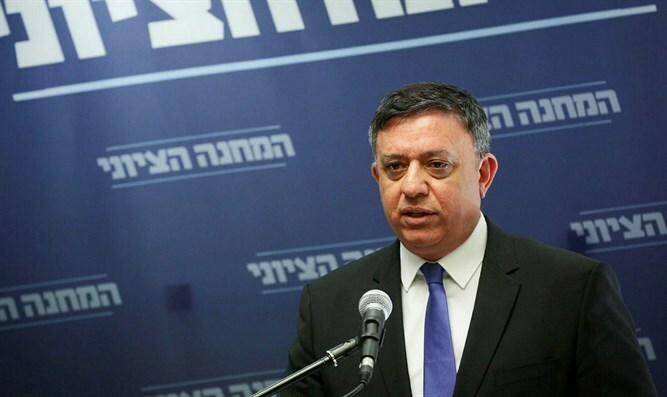 The Labor party on Sunday approved the list of party chairman Avi Gabbay for the upcoming Knesset elections in April. For the first time, in the Labor Party's list for the next Knesset, women will receive three places in the top ten. Three more places will be reserved for women up to 21st place. So that at least six places will be reserved for women in the first 21 places. In addition, Gabbay decided that the list would reserve three spots, the second, tenth, and sixteenth spots. The representatives of the kibbutzim were promoted to 14th place, and two representatives of minority groups were vouchsafed the 17th and 23rd places. As published last week, on Thursday, January 10, a festive and first convention of the new conference will be held at the Exhibition Grounds, in which the conference is also expected to vote on the list of candidates for the 21st Knesset. The primaries for the Knesset will be held on February 11, during which about 60,000 party members will elect their representatives at polling stations throughout the country. Last week, Gabbay stunned the political world by announcing the breakup of the Zionist Union and Labor's split from MK Tzipi Livni's Hatnuah party.